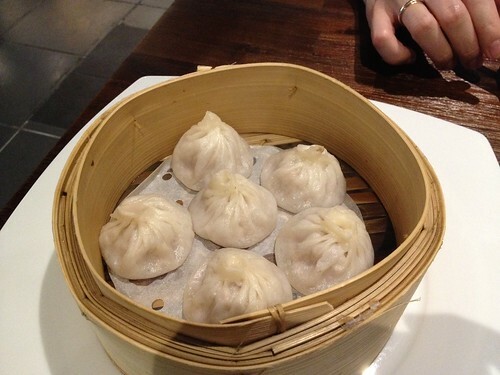 Their Shanghai xiao long bao certainly did not disappoint. It was juicy and the pork mince was flavourful. We both enjoyed them. We were tempted to order the second set but we tried other dim sum instead. So, next up we tried their grilled shallot pancakes. Crispy little pancakes! 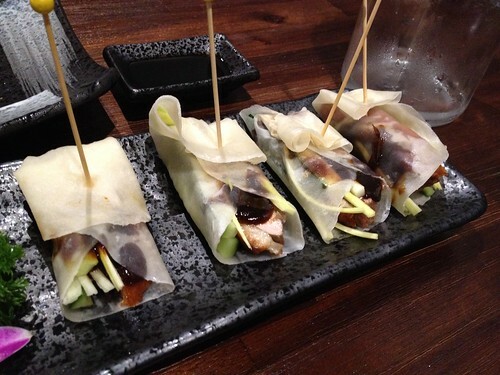 I just had to dip the pancakes into some soy sauce for some flavour. 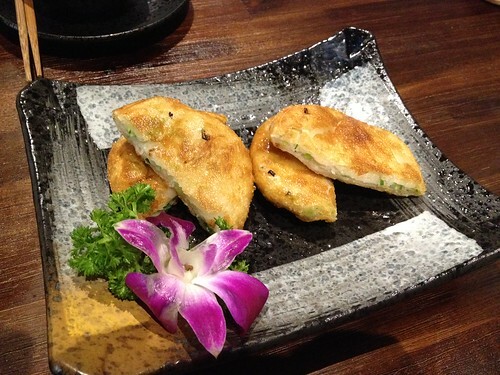 I think pan fry pork buns is a must try together with xiao long bao. So we tried those as well. 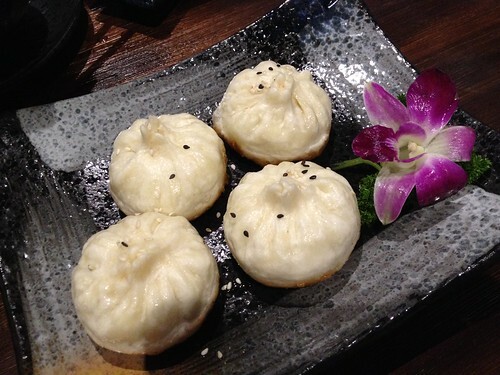 The pork buns do not look as delicate as those in New Shanghai but nevertheless, the flavours of the buns were spot on and they were cooked well. 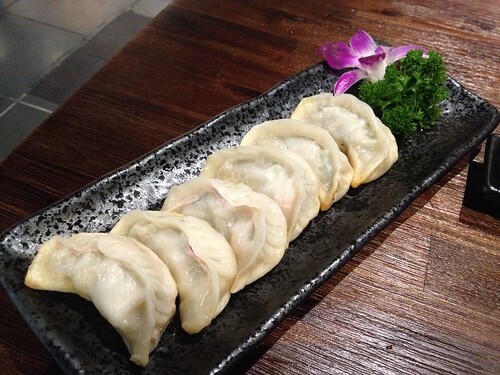 Finally, we tried their pan seared pork dumpling. I was very full after having tried the different dim sum that night. The Mr had to finish most of the pork dumplings. I think they were quite good as well. Well, we certainly had a good time that night albeit my silly mistake and embarrassment. It was raining cats and dogs when we walked out from China Inn. Certainly soaking wet when we walked back to the car... Happy Belated Birthday my dear!